- Additionally, our law firm takes cases involving personal injury, workers' compensation and probate law. A former public defender and state prosecutor, our founder, Thad Doughty, has spent extensive time in the courtroom. He has a deep understanding of the legal process and what to expect at every turn. This lends us the ability to make proactive strategies in order to not only protect our clients' rights during investigations and pretrial activities, but also to secure the best possible outcome to their case. Outside the results we are known to achieve, we also have a reputation for exceptional service. Perhaps one of the most important things we do is act as a source of support and counsel to people who are going through trying times. People who work with us can expect to feel heard and informed about their case. 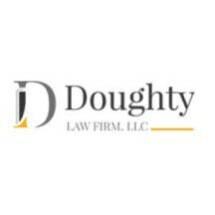 Doughty Law Firm offers free initial consultations on Personal Injury and Workman’s Compensation cases. We represent people throughout the State of South Carolina.